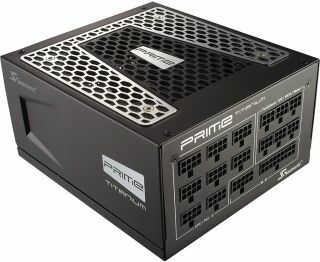 Awesome price on an 80 Plus Titanium PSU. Do you need an excuse to replace that generic power supply with a higher end model from a reputable manufacturer? Then check this out—NCIX is selling Seasonic's top-shelf Prime 850W PSU (SSR-850TD) for $65 and a few pennies. This same power supply sells at Amazon for $204 (after a $20 mail-in-rebate) and for $180 at Newegg (also with a $20 MIR). NCIX has both beat by a mile, and there is no rebate form to fill out. You can, however, use coupon code NEWNCIXCUST20 to receive a $20 NCIX gift card if you're a new customer. Either way, it's a great price on a high-end PSU. The Prime 850W is 80 Plus Titanium certified, which is the highest level of 80 Plus certification available. That translates to 94 percent efficiency at a 50 percent load. The PSU is also fully modular, including the main 20+4-pin power connector. In some situations, a fully modular PSU can make it easier to install the unit, particularly in small form factor cases where there isn't a lot of wiggle room. Seasonic went with a single +12V rail design on this one, with up to 70A available on the all-important rail. Compared to other PSUs, a budget of $65 typically gets you a 700W or lower PSU when shopping reliable, name brand units. There are some gems out there—Newegg has EVGA's SuperaNova 750 on sale for $70—but you're not likely to find one with 80 Plus Titanium certification at this price and wattage combination.